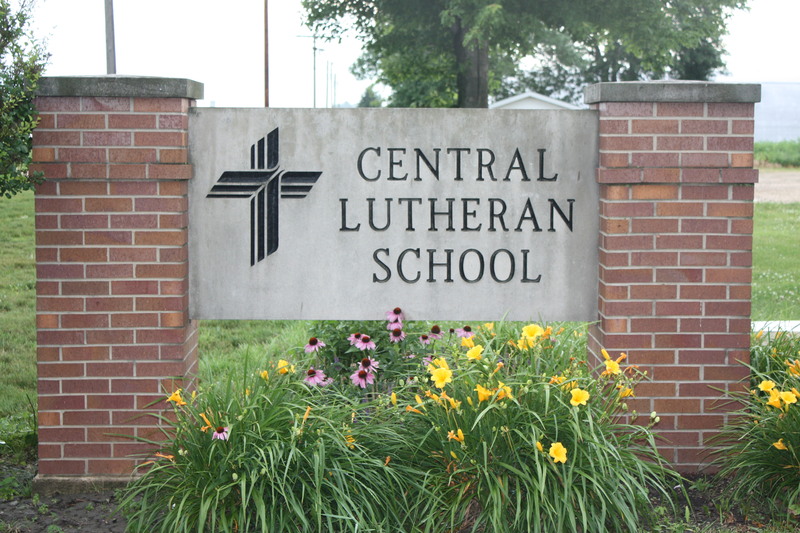 Central Lutheran School held its first classes in the year of 1966, combining the two former schools of St. John Lutheran School and St. Paul Lutheran School in 1965. The following year St. Stephan’s Lutheran School joined the association. Not until 1967 was the association name Central Lutheran School. Central consisted of two centers — one in Newhall and the other in Atkins. Mr. Norman C. Miller was Central’s first principal. When the consolidation took place, there were 155 students enrolled. The original school building was built in 1963 at the cost of $65,000. In 1968 the first building project was constructed and dedicated. The addition was 2,580 square feet. The expansion cost $25,000 plus much volunteer work by members of the three congregations. In the late 1970’s St. John’s Lutheran Church in Keystone joined the association. In 1993 Central Lutheran expanded for the second time to allow for enrollment growth. The 70 x 80 building included a new library, restrooms and three additional classrooms. At this time there were 145 students in preschool through eighth grade. After the 2001-2002 school year the Atkins Center was closed and all students were moved to Newhall. With the purchase of two annex buildings this was made possible. Today, Central Lutheran School is the only nonpublic day-school in Benton county. Students and families from a twenty-mile radius come for the Christian education brought to them by Synodically trained or colloquied teachers. Central Lutheran has an enrollment of 142 students in preschool through eighth grade. Central Lutheran is located on the outer edges of Newhall, Iowa. Newhall has a population of 886 (2000 census). Newhall is located 15 minutes West of Cedar Rapids just off of Highway 30 in Benton County. Benton County is one of the fastest growing counties in Iowa. Newhall is considered a bedroom community of Cedar Rapids with opportunity for growth. Newhall has many small businesses but no major manufacturing plant. Benton County has three public school districts: Belle Plaine School District, Benton Community School District and Vinton-Shellsburg School District. Central Lutheran lies within the Benton Community School District. Benton Community has four different centers split by grade level across the district. It is one of the largest districts by square miles in the state. Benton offers a quality public school education. Central Lutheran and Benton Community have a great working relationship. Central is able to use many of the services provided by Benton to help Central students and families (ex: bussing, special education services, facilities, etc…).